Once you've played QuizXpress, you'll never do paper based trivia again! It's just like a real life TV quiz show - State of the art multimedia, digital projectors, wireless keypads. A high-octane quiz experience to keep you entertained for hours. What makes QuizXpress Trivia (Weekly Entertainment) so popular? So you love trivia and you love game shows! Then you need to play QuizXpress, it’s the ultimate trivia night game show in town. Once you’ve played QuizXpress you will never want to play paper based trivia again! QuizXpress is just like being in a real life TV quiz show like ‘Who wants to be a millionaire’. 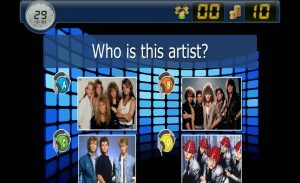 QuizXpress is a multimedia rich, multi-choice, night of trivia fun! 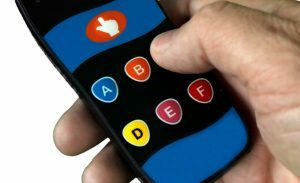 The trivia game show is beamed onto the TV’s in the venue and then you’ll interact and answer questions using a wireless keypad or you can even play using your mobile phone by making it a virtual keypad. QuizXpress is high-octane quizzing that will keep you and your friends entertained for hours. There is a live leader board display so no more waiting around waiting ages to see where you finished the round or the night, you get up to the second scores, live, creating a real buzz. Fastest Finger – Only the first team or person to buzz and answer correctly gets the points, everyone else missed out. So being fast is the name of the round! Everybody Answers – Everyone gets to answer and everyone stands to lose or win points. But beware, in some rounds the longer you wait, the less points available to win, so being fast and accurate counts! Last man standing – Players or teams are eliminated for answering incorrectly creating a real sense of anticipation to see who can be the last team standing. Trivia Ladder – In this round, where you finish on the ladder counts, the higher you finish the more points you get. It’s just like Millionaire hotseat. Do you have what it takes to climb to the top of the ladder? Penalty Shootout – Can you guess where the ball will end up in the goals. Will the goalie stop the ball, will it go into the net at the top, bottom, left or right, you need to guess correctly to get the points. Horse Race – When the horse race is played, the energy in the room goes to another level as everyone is on the edge of their seats as they wait in anticipation to see if the horse they selected wins. This is the team’s opportunity to win some big points! Plus, throw in a Jeopardy round the Wheel of Fortune, Magic Cups, Fast Money and wager questions and you have an action packed evening full of nail biting moments. 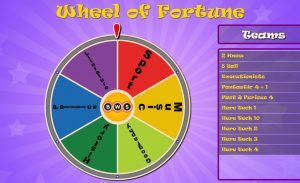 Great prizes – Our venues are very generous and you have the opportunity to win some great prizes and if you are the lucky winner of the night you can play the money or the wheel. This is your chance to potentially win the Jackpot and take home a small pot of gold! So click on the “Where is it on” tab to find a venue near you and come on out for a fun filled evening playing the hottest trivia game show in town, QuizXpress! QuizXpress, it’s fun, exciting and totally engaging! Q: DO I NEED TO BOOK A TABLE? It is strongly recommended that you ring and book a table to guarantee your place in the game. Q: HOW MANY PLAYERS PER TEAM ARE ALLOWED? We recoomend teams sizes of 2 - 6 maximum. If you have more than 6 in your group then we recommend that you split into two teams to create more competition and keep it fair for everyone else. Q: DO YOU HAVE A HANDICAP SYSTEM? Yes we do. It varies depending on the venue, but the handicap system is in place to give everyone a fair chance of winning at some point and it ensures that no one team can win every week. Yes we do. At the start of every night the host will show everyone the code of conduct for playing QuizXpress such as no mobile phones to be used during rounds, no colluding with teams and respecting the host who has the final decision on all questions. Having a code of conduct ensures everyone can have a fun and enjoyable night. QuizXpress Trivia (Weekly Entertainment): Now playing at a venue near you! Presently we hold this activity at various locations. Simply pick one from the map and see when the next event is on. If you can't find a location that suits, don't worry, simply contact us for more details as we're adding new locations all the time and may have something that suits!